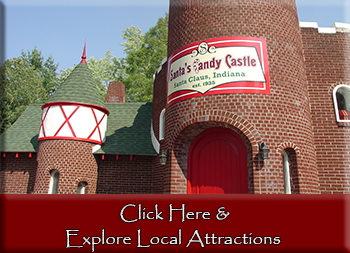 Plan your trip to Santa Claus, Indiana, and sites throughout Lincoln’s Indiana Boyhood Home. Not sure where to start? We can help. 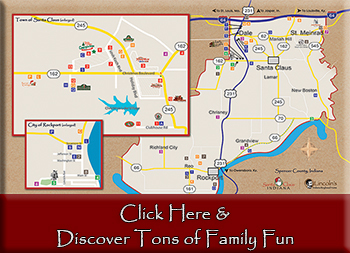 The town of Santa Claus is home to Holiday World & Splashin’ Safari and so much more. 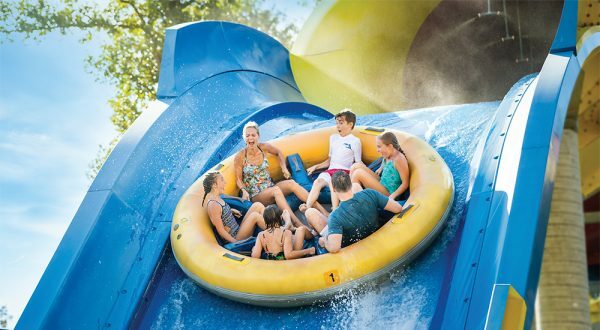 From shopping at the Santa Claus Christmas Store, sipping frozen hot chocolate at Santa’s Candy Castle, or posing next to several larger-than-life Santa statues, this spot is full of family fun. Did you know Abraham Lincoln grew up just five minutes from what is now Santa Claus, Indiana? Yep, explore commemorating President Lincoln’s time in Indiana. Check out these ideas and more by browsing through our list of Things To Do. Take advantage of ample spots to rest your head during your trip. Book a cabin with room for the entire family. 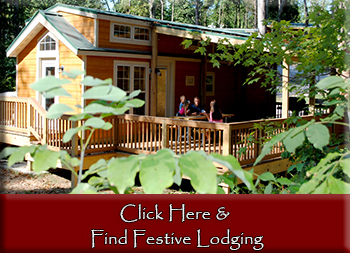 Or, choose from a variety of other lodging options like rental RVs, hotel rooms, vacation rentals, and more. Check out all the options including locations and amenities here. We’re here to help. Send us a message with any questions! Our Trip Planner tool makes it easy to plan out a trip and share with family or friends via email. 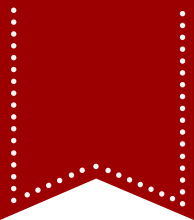 Click here to see a map of the area. Looking for a deal? Visit our Travel Deals to find discounts and deals currently offered. Sign up for our e-newsletter here! We feature trip ideas, upcoming events, and helpful resources every other week.